"Teach for America is no substitute for thoughtful, long-term federal and state policies to transform the recruitment, preparation, and retention of career teachers." I've been following the train wreck that is American education reform for a few years now. I've learned that when a strategy for dismantling public education is born in the US, Canada need only wait a year or two before those same ideas look to contaminate the north. In the past, it's been standardized testing, school choice, replacing teachers with technology and/or merit pay. Now Teach for America looks to infect Canada. Wendy Kopp created Teach for America in 1989 and since then has created an alumni of almost 30,000. TFA attracts America's top college graduates and trains them for five weeks before placing them as full-time instructors in low-income, high-need classrooms across America. School districts agree to pay $2000-$5000 for each TFA instructor. TFA instructors are required to agree to a two-year commitment at their school. More than 50% of TFA teachers leave after two years, and more than 80% leave after three years. Check out a summary of the research on Teach for America here. So why bring TFA to Canada? Only 40% of First Nations students living on reserves graduate from high school. In Alberta, for example, there are many education initiatives around supporting First Nations, Metis and Inuit (FNMI) students. Canadians know that too many FNMI students are underserved and underprivileged. On a personal note, I teach in a children's inpatient psychiatric unit, and I am disheartened and disturbed by the number of FNMI children who present with a wide variety of mental health problems, Fetal Alcohol Syndrome and or live in abject poverty. Canadians also know that attracting qualified teachers to work in native and rural communities can be very difficult. Sometimes the problem isn't just low-quality teachers -- sometimes the problem is that there is no teacher at all. At first glance, it would appear that importing Teach for America might be a great solution to Canada's challenges and inequities for FNMI students. However, if this is an important problem, and it is, than we better be incredibly mindful about the solutions we employ. So let's take a closer look at Teach for America. It's hard to be critical of Teach for America (TFA) because the idea is so positive and the young people it attracts are so terrific. Who could possibly object to an organization that recruits thousands of smart young college graduates to teach for two years in some of our nation's most distressed urban and rural schools? Who could question the sincerity and idealism of these young men and women? It is necessary, however, to distinguish between the young people who join TFA and the organization itself. TFA is not content to send out young people to do useful work in the schools. Flush with media acclaim and corporate largesse, TFA sells its brand as the best means of changing American education and ending educational inequity. It maintains that its teachers are singularly equipped to save children's lives, because TFA teachers have high expectations, clear goals, and a sense of purpose. It portrays itself as a prominent actor in the new civil rights movement, a force to abolish inequality and establish a new civil justice. It is as though the Peace Corps claimed that its young volunteers are more successful than seasoned diplomats, know how to bring about world peace, and should be making foreign policy. On the face of it, such claims should have been laughable. No first year teacher, especially one with only five weeks of training, is fully prepared for the challenges of a classroom filled with boisterous students in the nation's poorest communities. How can these young people expect to close the achievement gap and establish equality across the land when they agree to remain only for two years? Even though some stay for three or four years and a few decide to become career teachers or move into administrative roles, this makes no sense. It seems even more improbable to say that TFA is leading the new civil rights movement when Wendy Kopp often says that we don't have to fix poverty, we have to fix schools. What civil rights leader would say that? What civil rights leader would assert that we can "fix" the schools instead of improving jobs, healthcare and housing? In her book A Chance to Make History, Kopp writes that when she started, "many assumed that fixing education would require fixing poverty first." She is now convinced, however, that TFA teachers, "even in their first and second years of teaching, are proving it is possible for economically disadvantaged children to compete academically with their higher-income peers." This actually isn't true, but no matter. She asserts there is "hard evidence that we can ensure all of our children in urban and rural communities have the opportunity to attain an excellent education." She maintains that "over the last twenty years we in the United States have discovered that we don't have to wait to fix poverty to dramatically improve educational outcomes for underprivileged students." When she appeared at Harvard in 2012, Harvard Magazine summed up her presentation: "Two decades ago, many educators thought urban schools could improve only if progress was made against poverty. Wendy Kopp thought there was another way to make a difference." But Kopp was wrong. The educators who thought we could improve schools by making progress against poverty were right. We must work both to improve schools and to reduce poverty, not to prioritize one over the other or say that schools come first, poverty later. Children are more likely to do well in school if they arrive in school healthy and ready to learn. TFA teachers are no substitute for jobs, nutrition, good housing, and healthcare. Poverty rises and falls in response to the economy, not in response to smart young people who teach for two or three years in poor communities or work in the state department of education, even state commissioner. Michelle Rhee who is a prominent opponent of teachers' unions and teachers' tenure and an outspoken advocate of high-stakes testing and privatization. John White who is the state superintendent of education in Luisiana and graduate of the Broad Superintendents Academy who helped launch an effort to privatize education by diverting money from public education to charters and vouchers and for-profit online businesses and private vendors. Michael Johnston is a member of Colorado's state legislature who wrote legislation that made student standardized test scores count for 50% of every teacher's and principal's evaluation -- despite evidence that this is a very bad idea. Wendy Kopp brought TFA to America, but it is Kyle Hill and Adam Goldenberg who are co-founders of Teach for Canada. When I visited their website, they name a four-member board of directors (which includes Hill and Goldenberg) and mentions, but does not name, a "core group of two dozen volunteers from across the country". Of the four named to the board, only two biographies hint towards anything that resembles teaching experience, and that is limited to Hill who "volunteered as a summer teacher in Jamaica and Ukraine" and Christie Kneteman who was a "former volunteer teacher in Ghana". While Kyle assured me via twitter that Teach for Canada is "working with educators to build our program", I have a hard time finding confidence in such a vague and hollow statement. If Teach for Canada was working with an impressive list of teachers, why not make that known on their front page? I don't know too many organizations that are humble or bashful about the impressive people they are working with. It's also important to note that Kyle Hill is a Strategy Consultant at The Boston Consulting Group (BCG). So who is the Boston Consulting Group and what do they have to do with education? BCG has done this in Delaware, North Carolina, Dallas, Arizona, Seattle, Chicago, New Orleans, Cleveland, Philadelphia and Memphis. Consultant groups like BCG have immense influence in the US, which is why some have dubbed No Child Left Behind as No Consultant Left Behind -- one analysis concluded that 25-35% of federal funding for School Improvement Grants went not to the schools but to consultants. 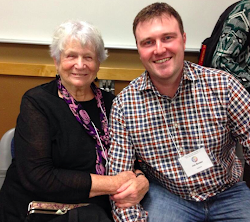 And Kyle Hill, co-founder of Teach for Canada, is a consultant with BCG. Any Canadian who is proud of our public education system and our efforts to make education more equitable for everyone should be at the very least concerned that the alumni of Teach for America are such advocates for reducing education to standardized test scores and privatizing public education. The idea that what First Nations need are a lot of well-meaning but inexperienced white kids showing up in their communities saying, “we’re here to help!” is plain ludicrous. There’s no doubt that education for First Nations, particularly those from more remote communities, is in a desperate state, and deserving of vastly more money and policy attention than it currently receives. But youthful enthusiasm just isn't a substitute for money and teaching experience. We have many reservations about the Teach For America model. The big one is that Teach For America sees its mission as addressing teacher quality, while we're focused on teacher supply. Will you be doing the Teach for America five-week summer training model? We will equip our teachers with the very best pedagogical techniques, taught in an intense setting over an entire summer. If these are differences from Teach for America, they are differences without distinctions. Firstly, Teach for America's original mission was to address teacher supply, but a bad case of mission creep has twisted and bastardized Teach for America into thinking they can address teacher quality. Secondly, let's be crystal clear, an "entire summer" is 8 weeks of training. That's a whopping 3 weeks more than Teach for America. That's hardly something to brag about especially when Canada's already strong teacher workforce comes from Universities with 4 or 5 year Bachelor of Education programs, and that doesn't count another 1 or 2 more years to get a Masters. The Alberta Teachers' Association's Research tells us that one of the major causes of early-career teacher attrition is inadequate pre-service preparation (which traditionally has been a greater concern in the US than in Canada) and difficult working conditions (particularly in under resourced schools) and professional isolation. Canada doesn't necessarily have a teacher shortage problem -- we have a teacher leakage problem. Because of systemic problems, anywhere between 25-50% of teachers leave inside of before five years on the job. Many beginning teachers experience what some call "praxis shock" which describes the challenge of coping with classroom realities for which pre-service training has not adequately prepared them. Many beginning teachers may come to feel betrayed by their professional preparation after being faced with the hard realities and complexities of teaching. Programs like Teach for America and Teach for Canada are at best unhelpful and at worst harmful because they misidentify the problem (teacher supply vs teacher attrition) and employ solutions that ignore and exacerbate the real problems. We need a stable and well-educated teaching profession, not a revolving door of graduates who see teaching as a bullet on their resume before they move on to bigger and better things. When it comes to complex problems like educating Canada's First Nations, Metis and Inuit children, there are solutions like Teach for Canada that are clear, simple and wrong. I agree. I went from a fairly affluent county after 20+ years of teaching to an inner city charter school. Why? Because of the lack of autonomy. Sounds ridiculous; right? My former county is building cogs and I have a brain. 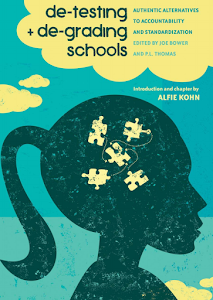 So, I set off to use my brain to contribute to a charter school that wasn't a public school. I actually thought I'd have more freedom there to be innovative. I was wrong. I was surrounded by TFA teachers. I totally understand why TFA teachers average 2 years of teaching. wow....They really burn them out fast. In addition to the regular struggles of teaching, the charter where I taught also had school from 7am-5pm. 3 days a week + a rotating schedule of Saturday school. In addition to that, TFA teachers are still meeting at least 2x a week nightly for additional training. Whew....I was wiped out and I can't imagine how they do it. I soon found out that I was a "rogue educator" because I had all of the ELL students, but was asked to not come back because I didn't have the same lesson plans as the first or second year teachers who had no ELL students. Unbelievable. When I tried to explain the differences in students and my training vs. theirs, I was told I wasn't a "team player". Needless to say, "team player" translates into "You won't do what we say" in education. So, I left teaching. If I can ever find a school that actually encourages autonomy and innovation, I could see myself going back. I'm hopeful that authentic learning still exists out there.